Growing number of vehicles on road and their mass production, push the government to impose stringent vehicle emission norms to reduce the carbon footprint in environment. In order to fulfill the new requirements automobile manufacturers are spending huge amounts on the advancement of automotive fuel filters to keep fuel emission low. Continuous advancement in automotive filters provides the automobile better operational age, performance and preventive maintenance. For instance, in US there is standardization of vehicle emission knows as phase 3A(2010-16) to increase the fuel efficiency up to 35 miles per gallon and SULEV-II which rates the fuel emission systems. Likewise, there is standardization in India known as BS-IV, BS-V and BS-VI. The stringent regulations and norms from the different governments around the world significantly impact the sales of vehicles as well as filters used in the automobiles. Rising sales of commercial vehicles also significantly driven the growth of global automotive filters market. Asia-pacific region witnessed registration of more than 7 million commercial vehicles in 2015, with China dominated the region with 3.5 million registered commercial vehicles. China is expected to register sales up to 30 million units annually by 2020. Rapidly growing automobile industry is creating huge growth opportunities for automotive filters manufacturers and suppliers. 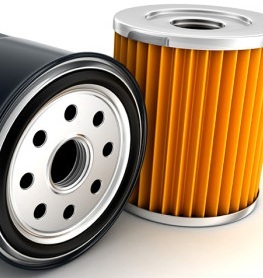 Growing number of new vehicles on road and rising aging automobile fleets around the world are the major factors driving the growth of automotive filters market. Growing demand for vehicles and existing automobile fleets raised the demand for automotive filters in both OEMs and aftermarkets. New innovations and technological developments of automotive filters are also providing growth opportunities for automotive filters market. For instance, multi-filtration system are introduced which can capture pollens, particulates and active charcoal. These filters help in reducing the contaminant inside automobile cabin that adversely affect the health of passengers inside the vehicle. Major automotive OEMs such as Volvo, had equipped its cars with multi-filtration system that eliminates the hazardous fine dust from entering the car. Stringent government policies to reduce green house gas mitigation in environment also propelling the growth of automotive fuel filters market. For instance, the Euro Emission Standards in Europe, Corporate Average Fuel Economy (CAFE) standards in United States are some of the stringent norms implemented in developed regions. However, swelling growth in electric power vehicles has impacted the sales of automotive filters adversely in recent years. In 2016, increased sales of electric vehicles in countries such as Japan, Netherlands, Norway and China inversely impacted the sales of automotive filters in these countries. In 2016, China accounted for the largest market for electric vehicles with total sales of more than 650,000 units followed by the European region with total sales of 645,708 plug-in electric vehicles. Global automotive filters market accounted for USD 5.9 billion in 2016 and the market is expected to reach USD 8.6 billion by the end of 2024. Further, the market is anticipated to expand at a compound annual growth rate of 4.8% over the forecast period i.e. 2016-2024. Geographically, Asia Pacific accounted for the largest market share of global automotive filters market in 2016. Asia Pacific automotive filters market revenue accounted for more than 40% of total market and expected to grow at a CAGR of 9.0% from 2016 to 2024. APAC is anticipated to reach USD 3.75 billion by 2024 owing to the rapid growth in automotive sector in emerging countries such as India, China and Japan will significantly contribute automotive filters market growth in Asia Pacific. Europe accounted for over 23% market share of overall automotive filters market. The market is expected to grow significantly over the forecast period owing to presence of large number of automobile manufacturers and components suppliers. North America being the mature market for automobiles is expected to drive the growth of automotive filters market at considerable rate. Canada, although being smaller market for passenger cars, showcase significant growth potential with 2 million vehicles sold in 2016. Hollingsworth & Vose Co. Inc.